Ghent University is a public funded university covering all disciplines. The UGent photonics research group (PRG) focuses on the development and application of novel photonic integrated devices and circuits, with a focus on high index contrast materials such as silicon and silicon nitride. The group has 8 professors, 11 postdocs and 50 PhD students. The group is associated with IMEC, Europe’s largest research institute in nano-electronics, giving it access to advanced and unique CMOS processing facilities for the fabrication of nanophotonic devices. Besides fundamental research, the group carries out application oriented work, both in traditional applications for photonic ICs (telecom, optical interconnect) as well as in newer directions such as Raman sensing from integrated waveguide circuits, integrated optical glucose monitors, strain sensing, biosensing, etc. 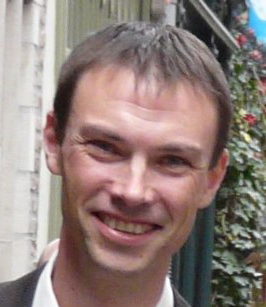 Prof. Dries Van Thourhout will lead UGent’s efforts on HOT focusing on Brillouin phenomena in nanoscale integrated waveguides, and studying new waveguide configurations allowing for radically higher power and gain. Following theoretical work, the proposed structures will be fabricated and characterized. Given UGent’s strong experience in CMOS foundry, it will also lead the CMOS compatible manufacturing and packaging efforts on HOT, alongside partner STM.